The vast majority of people who are over 25 know the history of the iconic Motown, the most celebrated and mythicized record company in the history of recorded music. We all know about “the big happy family,” and to a great extent that was the case during the early and golden years. But there was more to the story. Some of it funny, some of it sad, but all of it interesting. DIANA ROSS & the Supremes were once headlining a show that also featured Gladys Knight & the Pips and, for a comedy break, Willie Tyler and Lester. Gladys, with the singing, dancing Pips, had the place on fire. The crowd was going wild. Knight noticed that Ross was on the side of the stage observing, and she was obviously not pleased. Exactly what Gladys, Edward, Bubba and William expected to happen did indeed happen: Diana Ross used her connections to have Gladys Knight & the Pips removed from the other shows that were scheduled. And on one occasion Ross was being very diva-ish, causing a lot of grief all around her. Someone who worked very closely with Berry Gordy at the time reported that he (Gordy) went into her dressing room, made love to her, and that chilled her right out. DESPITE being a member of Motown’s most popular and successful male group, the Temptations, and despite the fact that Berry Gordy loved the Temps, he and Eddie Kendricks had a chilly relationship. The famous tenor said they rarely conversed. He attributed that to his being very outspoken and Mr. G not being appreciative of that. In any event, we’ll never see a picture of Eddie Kendricks and Berry Gordy together. But Mr. G. once did a big favor for Eddie. At David Ruffin’s funeral at New Bethel Baptist Church, Kendricks was arrested for not fulfilling financial obligations to his ex-wife. Martha Reeves was able to contact Gordy directly by phone and he put up the bail. AT ONE POINT in the mid-’60s, Motown decided to eliminate a competing Detroit record company, Golden World, by purchasing it. One of the popular artists on its subsidiary label, Ric Tic, was J.J. Barnes, who had hits with “Real Humdinger,” “Please Let Me In” and others. There had long been talk of Barnes sounding similar to Motown’s foremost male vocalist, Marvin Gaye. So when Barnes suddenly became a Motown artist, an intimidated Gaye made such a fuss that nothing J.J. Barnes recorded was ever released. A LONG-ENDURING rumor is that Tammi Terrell died because volatile boyfriend David Ruffin hit her on the head with a hammer. But that is not likely to have caused her death because Tammi had a history of brain issues. However, Ruffin was indeed abusive. The composers of the song, Eddie Holland, Lamont Dozier and Brian Holland, brought the song to the Marvelettes and the ladies hated it. So H-D-H took it to Diana Ross, Mary Wilson and Florence Ballard. They also hated it. In fact, Wilson said she was in tears. However, after a lot of debate, the Supremes recorded “Where Did Our Love Go?” which skyrocketed to No. 1, R&B and Pop. The Supremes were on their way to becoming the most successful female vocal group of all time. Holland-Dozier-Holland wrote and produced nine additional songs that were No. 1 for the Supremes, plus numerous other hits. PEOPLE who “weren’t there” or don’t do research on such matters sometimes wonder which came first, “I Heard It Through the Grapevine” by Gladys Knight & the Pips or the very different rendition by Marvin Gaye. Of course, Gladys Knight & the Pips’ uptempo rendition was first between the two. It debuted on the national charts Oct. 28, 1967, No. 1 R&B, No. 2 Pop. The song as sung by Marvin Gaye appeared on the charts Nov. 30, 1969 and was No. 1 R&B and Pop. BEFORE THE superdiva and the top executive became “an item,” she had become “closer than close” with a very famous Motown songwriter/producer/arranger who was very much married. One night the wife, people who were there verify, confronted the singer at the 20 Grand nightclub and made her displeasure “physically known.” Onlookers were aghast. THERE WERE a few Motown artists who gave themselves new names, or had names given to them, with the belief that the new names had more commercial appeal. For example, Jr. Walker, saxophonist front man of Jr. Walker & the All Stars, who had Top 10 hits like “Shotgun,” “What Does It Take (To Win Your Love)?” and “(I’m A) Roadrunner,” was born Autrey Mixon Jr.
Stevie Wonder was and continues to be a “wonder” of a talent, but he is actually Stevland Judkins. Maybe “Take Me In Your Arms (Rock Me A Little While)” and the duet with Marvin Gaye, “It Takes Two,” would not have done quite as well if Kim Weston had been using her real name, Agatha Weston. 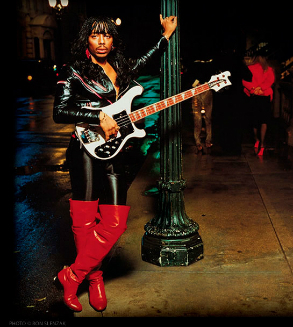 Rick James was a very different kind of Motown artist, proclaiming himself “the king of punk funk.” On his birth certificate it says James Johnson Jr.
David Ruffin’s first name was actually Davis. MARTHA REEVES recalled that on one occasion, during the period when Martha & the Vandellas were at their peak with hits like “My Baby Loves Me,” “Nowhere to Run” and “Jimmy Mack,” an irate woman approached her table at a Detroit nightclub.